Volatility: It is a measure of dispersion. Therefore, any change in the volatility of the project can become a risk factor. 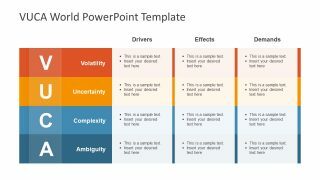 Uncertainty: The unpredictable events and situations where the sense of awareness for issues matter. 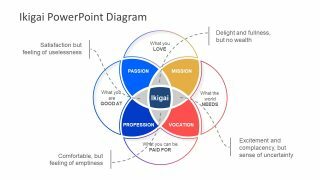 Complexity: The can be the set of intricately complex issues and events. 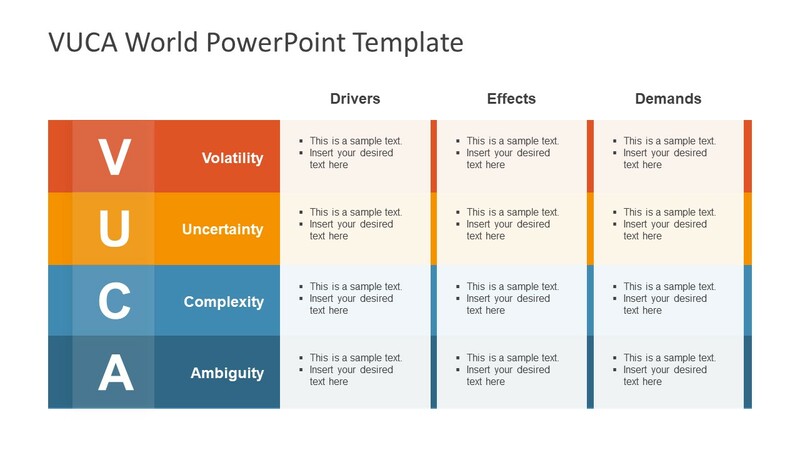 Ambiguity: A potential threat due to misinformation or miscommunication i.e. cause-and-effect confusion. 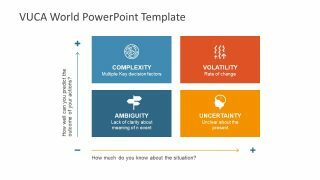 The VUCA PowerPoint Template presents the problem-solving approach to reduce the uncertain events. 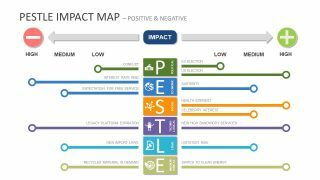 The first slide shows the cause, effects and response table. 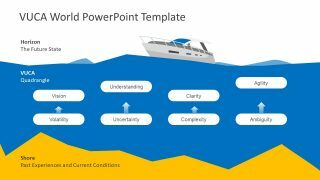 Whereas, the VUCA PowerPoint graphically illustrates the concept of challenges through the seashore in the second slide. It shows horizon as future, shore as past and VUCA efforts in between the sea. 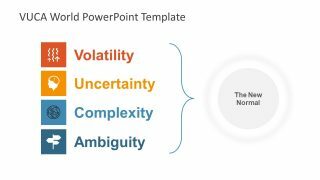 Similarly, the matrix chart represents each factor of VUCA with clipart icons. These icons enable the audience to remember the concept for a longer period. 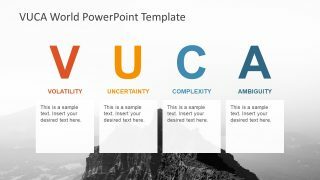 The PowerPoint template of VUCA assists the viewers to clearly understand the problem and pass judgments accordingly. 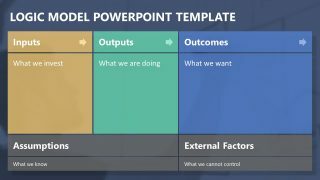 It is an editable PowerPoint template with the range of customization options available. 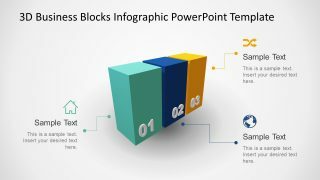 The users can easily change the colors, increase or decrease the size of shapes, clipart icons etc. 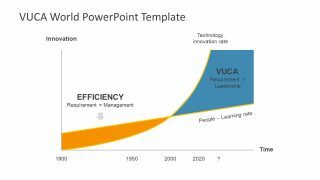 The slides of VUCA PowerPoint are different versions of one concept.